Telluride Mountain Village Owners Association (TMVOA), sponsors and organizers of the Telluride Festival of the Arts (TFA), announced today the complete TFA Schedule of Events, to take place August 14-16, 2009. Highlights of the schedule include culinary demonstrations by 2009 Top Chef New York winner Hosea Rosenberg, a free outdoor concert by Grammy® nominated artist Joan Osborne and an art show featuring 50 national and regionally recognized juried artists. The signature celebration of the weekend is the Grand Tasting on Saturday, August 15, 2009 and held throughout the European-style Plazas of Mountain Village. The Grand Tasting event brings together top chefs and restaurants from Telluride, Mountain Village and southwest Colorado with world class wines and spirits and offers guests an evening of distinctive selection of dishes and desserts as they stroll through the center of Mountain Village. The Telluride & Mountain Village art community welcome the 2009 TFA Visual Artists to a special reception hosted by the Ah Haa School for the Arts at their new location and the Telluride Council for the Arts and Humanities at the Stronghouse Studios. National and regionally recognized artists exhibit their work in 13 different media categories: ceramics, digital art, drawing, fiber, glass, graphics and printmaking, jewelry, metal-works, mixed media, painting, photography, sculpture and wood. 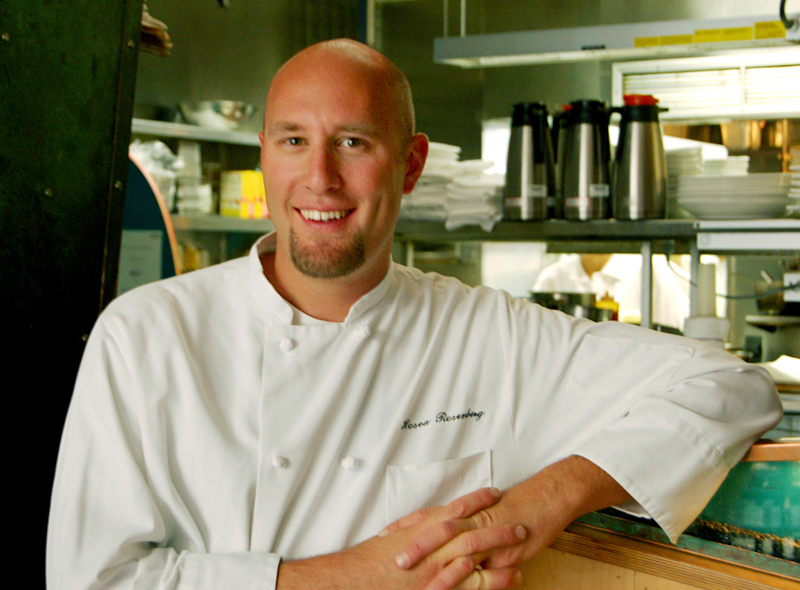 Chef Daniel Baldwin will present a gourmet lunch along with special wine pairings. A food and wine demonstration, discussion and tasting with Steve Spitz and special winemaker. Learn how to make creative specialty cocktails. Grammy® nominated and multi-platinum artist, Joan Osborne, graces the stage in Mountain Village for a free performance to celebrate the Arts Festival. The celebration will include a cocktail reception and a four-course dinner influenced by local Rocky Mountain ingredients featuring celebrity chefs Hosea Rosenberg, Top Chef New York Season 5 winner, Elise Wiggins, Jen Jasinski and Kenny Gilbert. Each course will be created and narrated by each Celebrity Chef and paired with harmonious wines and spirits. Special live auction of Michael Gadlin's featured artwork of the commemorative Festival poster. An entertaining and interactive culinary demonstration by Chef Jen who's impressive restaurant credits include current owner and Executive Chef of Rioja and Bistro Vendome of Denver, CO with previous positions as sous chef at Postrio, San Francisco; cafe chef at Spago, Las Vegas; executive sous chef at Granita, Malibu; executive sous chef at Spago, Chicago; and corporate chef at Wolfgang Puck Food Company. An entertaining and interactive culinary demonstration by Chef Elise, Executive Chef of Panzano in Denver. After Chef Elise took helm, Panzano was awarded 4 out of 4 stars and included in the Top 25 Restaurants in Denver by 5280 Magazine and the Zagat Guide. Chef Kenny will present a gourmet lunch along with complimentary wine pairing at his restaurant, Onyx. You love Pinot, but how well do you really know it? Join our panel of wine experts as we explore all of the mutations and clones of Pinot. An entertaining and interactive culinary demonstration by Top Chef Season 5 winner, Chef Hosea. Notably, Hosea works closely with many of the local farmers and ranchers in Colorado and supports sustainable agriculture conservation by buying locally and organic whenever possible. The seafood he buys as Executive Chef of Jax Fish House in Boulder is sustainable and on "green" lists. In addition, Jax is PACE certified, on the Colorado Proud list, using 100% Wind Energy and practices composting, recycling and water conservation. Learn how to be your own Mixologist at this Spirit Workshop with Van Gogh Artist Series & Mixmaster, Moose Koons. The Festival's signature event! Enjoy the remarkable tastes of local restaurants, breweries, fine wineries and spirits for an evening of culinary and social celebration. Featuring Celebrity Chef Dueling Demo with Hosea Rosenberg and Elise Wiggins and more demos. The finale of the Grand Tasting evening. Enjoy a complimentary drink, while finishing off the evening in the plush Suede Bar of Telluride's newest creation, Capella Telluride. Brunch will be served poolside at the Peaks Resort. Enjoy Bellinis and your favorite Bloody! An entertaining and interactive culinary demonstration by Chef Kenny, whose creations have garnered multiple awards from the country's top dining institutions. As Executive Chef for Kimball and Viking for the past 13 years, Chef Vaughn will walk you through their exquisite appliances and culinary products. Ticket prices range from $550 to $250 per person with special early bird pricing from $525 to $225 per person for tickets purchased prior to July 15, 2009. Specific details on the events and activities included at each ticket level are available at http://www.telluridefest.com. A complete Schedule of Events with ticket prices and locations is available at http://www.telluridefest.com.